Free online guide to more than 180,000 historical grants: An online tool to let charities search more than 180,000 grants awarded over the past dozen years has been developed by a transparency charity, with the backing of large UK’s foundations. Heritage Lottery Fund launches £10m to improve youth engagement: The Heritage Lottery fund has today launched a £10m pilot programme and is inviting groups of charities and other organisations to apply for funding. Community interest companies, companies limited by guarantee, charities, not-for-profit organisations, social enterprises, unincorporated associations operating in the UK can apply for grants of up to a maximum of £50,000 (inclusive of VAT) to a maximum period of three years. Following a strategic review of the Fund's activities in March 2016, the objectives have changed. The Fund has specific funds available for the Autumn 2016 round to help the rural communities affected by the recent flooding following a series of storms over the winter. The Fund is actively seeking applications from organisations that are supporting farmers, rural businesses and communities to recover following the flooding or projects that are focused on assisting the recovery and future resilience in these rural areas, particularly Cumbria, Lancashire, North Yorkshire, Herefordshire, Northumberland and Scotland. The deadline for applications is 13 October 2016. 4. Community Integration / Delivery of Local Services. Priorities 2, 3 and 4 will be reviewed in two years’ time. Each priority has its own criteria, budget and application timescale. £10 million is available each year for this fund. o Priority 2 Families in Stress - grants of between £20,001 and £300,000. o Priority 4 Community Integration/Delivery of Local Services - grants of up to £20,000. o Priority 3 Strengthening Local Government Delivery of the Covenant - A lead local authority in behalf of a cluster of local authorities. o Priority 4 Community Integration / Delivery of Local Services - Registered charities, local authorities, schools, Community Interest Companies and Armed Forces units with a Unit Identification Number (UIN) can apply. Applicants are expected to have experience and a track record of working with the Armed Forces community, as well as a real understanding of the issues facing the Armed Forces community. Guidance notes and expression of interest forms are available on the GOV.UK website. The first step is to submit an expression of interest form. Groups that are successful at this stage will be invited to submit a full application. The completed expression of interest must be submitted online. Full details are in the guidance notes. o Priority 4 Community Integration/Delivery of Local Services - closes at midday on Tuesday 2 November 2016. Groups who wish to discuss their project are invited to send an email to the Grants Team at: covenant-grantteammailbox@mod.uk. There is increasing interest and commitment to ensuring that people and communities are supported to become more resilient and to prevent the need for more substantial support and help. The third sector has always been active in offering prevention & early intervention support. This conference seeks to further the cooperation and partnership between organisations and with public sector partners in relation to Powys’ citizens and communities. The afternoon session will provide an opportunity to influence specific strategies and plans currently being developed in Powys. Invitations will follow in due course. Hyderwn y medrwch bod gyda ni ar gyfer ein Cynhadledd a Chyfarfod Cyffredinol Blynyddol ac y byddwch yn dosbarthu'r wybodaeth hon drwy eich sefydliad a thrwy eich rhwydweithiau. Mae diddordeb cynyddol ac ymrwymiad i sicrhau bod pobl a chymunedau yn cael eu cefnogi i fod yn fwy gwydn ac i atal yr angen am gefnogaeth a chymorth mwy sylweddol. Mae'r trydydd sector wastad wedi bod yn weithgar yn cynnig atal a chefnogaeth ymyrraeth gynnar. Mae'r gynhadledd hon yn ceisio hybu cydweithrediad a phartneriaeth rhwng sefydliadau a gyda phartneriaid yn y sector cyhoeddus o ran dinasyddion a chymunedau Powys. Bydd sesiwn y prynhawn yn gyfle i ddylanwadu ar strategaethau a chynlluniau penodol sy'n cael eu datblygu ar hyn o bryd ym Mhowys. Bydd gwahoddiadau dilyn maes o law. The Mrs F B Laurence's Charitable Trust's preference is to make grants for the care and improvements of conditions experienced by disadvantaged members of society both within the United Kingdom and overseas for whom the UK owes a duty of care. This has included in the past organisations benefitting ex-service and service personnel, retired people and those who are unemployed. 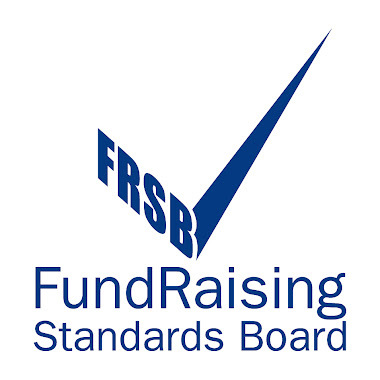 The trustees are keen to support small registered charities, particularly those that, by the nature of their work, find it difficult to attract funding. o Special schools and special needs education and literacy. Previously grants have ranged between £500 and £4,000. Match funding is not an essential requirement, although applicants are required to state what other funding has been secured for their project. The trustees aim to make grants of at least £80,000 per annum. o Charities whose administrative expenses are considered by the Trust to be excessive. The Mrs F B Laurence's Charitable Trust does not maintain a website or provide an email address or a telephone number. Requests for funding should be made to the Trust in writing and with the applicant's latest set of accounts. o What distinguishes your work from others in your field? o How the potential benefits of the project will be measured. Charities urge donors to give their first plastic £5 note to a good cause: A social media campaign is urging people to donate their first plastic £5 note to charity, after the new version entered circulation at the end of last week. The Road Safety Trust aims to support road safety research or practical interventions (focused upon education, engineering or enforcement approaches or a mixture of two or all of these) intended to reduce the numbers of people killed or injured on the UK’s roads. Grants up to £100,000 are available over a period of up to three years. PLEASE NOTE: applicants are required to provide some of the project costs from other sources. Funding is available for projects that are innovative and will enhance the knowledge and practice of the road safety community. Applicants should be able to give a clear indication of their project's benefit to road safety. o Include a clear explanation of why an application is being made to the Trust rather than elsewhere. o Tools likely to lead to the enhancement of road safety. o Activity which is likely to be in breach of laws relating to equality or opportunity. Applications are accepted from both public and professional UK organisations including charities and university departments. Applications from private commercial enterprise, Community Interest Companies and not-for-profit businesses will be considered for funding for projects where the proposed activity is deemed to be charitable, for the benefit of the public and consistent with the principles of the Trust. o Next steps (for example, further development, replication of results, roll-out or the potential for sustainability). The next application deadline is Friday 7 October 2016. Further information is available from the Road Safety Trust’s website. The Royal British Legion’s External Grants scheme aims to safeguard the welfare, interests and memory of those who have served in the Armed Forces. This includes, under certain circumstances, other support and defence organisations and the Mercantile Marine. Grants up to £50,000 are available for charitable organisations that have been operating for at least two years. o Prove their organisation is run efficiently, particularly that it has sound financial and organisational management. There is a two stage application process. The deadline for Stage One applications is Friday 11 November 2016. Stage One application forms are available to download from theRoyal British Legion’s website. Successful Stage One applicants will be invited to fill in a Stage Two application form. The Heritage Lottery Fund (HLF) will open its new £10 million Kick the Dust grants programme on Friday 23rd September 2016. The new fund is intended to support ambitious youth-focused projects that transform how heritage organisations engage with young people aged 11 to 25 years. Grants of between £500,000 and £1 million will be available for projects that take between 3 to 5 years to complete to consortia of three or more organisations, including heritage and youth organisations. o Evidence the value of youth engagement with heritage. Projects will also need to meet at least one of the HLF outcomes for heritage, for people and for communities. 2. The deadline for first-round applications will be Monday 20 February 2017. The Heritage Lottery Fund is providing pre-application information workshops across the UK in preparation for the launch of the programme. Disappointingly, no workshops have been arranged in the South West of England, Neither has HLF provided information on webinars for those unable to attend a workshop. o Monday 24 October - Belfast. It is necessary to reserve a place in order to attend an event, and this can be done via Eventbrite. A limited number of places are available which will be allocated on a ‘first-come, first-served’ basis. The Kick the Dust grant guidelines for will be published on theHLF website on Friday 23 September 2016. The Invest Programme is open to Round 4 applications from charities and CIOS in England and Wales. London Boroughs of Hackney, Tower Hamlets, Newham, Barking and Dagenham, Havering, Redbridge, Waltham Forest, Haringey, Enfield, Barnet. Round 4 is open to applications with a deadline of 14 October 2016 (5pm). Through its Children and Families programme, Nuffield Foundation funds research and innovation projects relating to child welfare and development, and child protection. The Nuffield Foundation’s Children and Families programme funds projects to help ensure that social policy and the institutions governing family life in the UK are best adapted to meet the needs of children and families. The Foundation is currently accepting outline applications until 1 October 2016. Exploration of the factors affecting children’s welfare and cognitive and social development, and the institutional responses that may be appropriate. Child development beyond the early years through to adolescence, particularly adolescent mental health and social and behavioural development, and the factors promoting or delaying successful transitions from formal education to work and productive adult life. Family structures and approaches to parenting – including parental working patterns – and the implications of these for family life and children’s wellbeing. This includes the formation of new family types, the contribution of inter-parental relationships, the different roles played by biological and social parents, kinship care, and the well-being of children growing up in adverse family conditions. The Foundation are particularly interested in the factors that contribute to effective parenting and the outcomes of children who experience different types of parenting. Partnership formation and dissolution and the consequences for childhood outcomes, for example the impact on family resources or the arrangements for child maintenance and parenting. The Foundation are particularly keen to ensure there is better information about the contribution that fathers and other co-parents make to parenting, given that they are missing from, or under-represented in, most of the relevant surveys (such as Understanding Society and the birth cohort studies). The quality and cost of childcare provision and the way childcare is best assessed and delivered; the relationship between childcare quality and deprivation; and the role of informal childcare. Development and testing of emerging approaches to improve child outcomes, such as parenting programmes, literacy programmes and approaches to enhance early language development. The Foundation are also interested in the impact of take-up of nursery provision on later outcomes. The application of emerging (social) science evidence to improve on the design of programmes for very young children (aged 1-3). The Foundation want to know whether it is possible to better combine the learning from educational research (e.g. on very early oral language, literacy and numeracy skills development) and social developmental research (e.g. on behaviour management and approaches to ‘self control’) to inform the design and delivery of new programmes to improve child outcomes. Better understanding of why the costs of childcare have risen, and how far this relates only to the price parents pay, or also reflects underlying cost drivers? The Foundation are also interested in international comparisons on the balance of state and private funding, and the operation and regulations of childcare markets. Empirical work to identify which mechanisms (such as quality assessment/inspection regimes, qualifications, curricula, interventions) are most effective in improving quality in the early years workforce;and how these mechanisms are best and most cost-effectively combined for each age group. The extent to which social segregation in early years provision may reinforce social and economicinequalities; and whether more can be done to improve access to, take-up of, and parental engagement with early years education by the most disadvantaged groups in society. Exploration of issues relating to the child protection system, including adoption, fostering and kinship care. The Foundation want to know how well the needs of children growing up in adverse conditions are met by the social services designed to help them, and to identify areas for improvement to protection and placement services for adoption and fostering. Better understanding of the underlying drivers (social, structural and institutional) which affect the numbers of children in, and on the margins, of the looked-after system. The quality and role of scientific evidence in the practice of children’s social work and opportunities for intervention to improve the use of evidence. The operation and design of the wider system, including the configuration of children’s services; the quality and professional development of the children’s services workforce; and how effective interventions can become embedded or scaled up. Grants normally range in size from £10,000 up to £350,000, with most lying between £50,000 and £200,000. The Foundation also considers larger grants but these are exceptional and often take longer to process. It also occasionally makes smaller grants for pilots or research and development work that may cost less than £10,000. The deadline for outline applications is 10 October 2016. The new £136 million Wales Business Fund, backed by the EU and Welsh Government, is exciting news for Welsh businesses. Provide business loans and equity packages from £50,000 up to £2 million. To introduce the fund as well as other funds we manage Finance Wales is holding a series of local breakfast launches for SMEs and intermediaries. At the events, you will be able to meet and network with local Finance Wales’ investment staff and representatives from xénos, the Wales Business Angel Network, as well as with other intermediaries and businesses. Speakers include Finance Wales CEO Giles Thorley plus local business owners. We are also offering pre-bookable one-to-one surgeries with our investment executives after each event. Aviva Community Fund Project Submissions open September 13th! Do you have an idea for a project that would make a real difference in your community? Or is there already something happening in your local area that would benefit from extra funding? The Aviva Community Fund is back to support good ideas making a real difference where it matters most. The Community Fund applications will be open from 13 September - 11 October. Voting will open on 21st October - 18 November. Aviva will announce the finalists on 22 November and the winners will be announced on 10 January. For more information, Aviva have created a useful project submission guide and terms and conditions to help you with your applications that can be foundhere. Once you’ve put your entry in, it’s up to you to spread the word to friends, family and neighbours to gather votes for your project. Everyone who registers ataviva.co.uk/community-fund gets 10 votes. Voters can spread their 10 votes around or use all 10 to really get behind one project. For requests of up to £1,000, the finalists’ submitted projects will receive the funding they want, subject to due diligence. For all other funding levels, the panel of judges will review the finalists’ entries to decide on the winning applications. The Lloyds Bank Foundation Invest Programme provides longer term core or direct delivery funding for charities and Charitable Incorporated Organisations (CIOs) that are delivering clear outcomes as a result of their work with people experiencing multiple disadvantage. o Older people losing independence – at the point they need additional support to continue living independently or at the point of transition to residential care. Funding is available for core organisational costs which are related to the day to day running of the charity. Funding is also available for costs associated with the direct delivery of the charity's work. Core costs include: o Building running costs; o Rent; o Utilities; o Heating and lighting; o Insurance; o Office costs; o Stationery; o IT running costs; o Management costs; o Salaries or contribution to managers; and o Finance/admin/back office. Direct delivery costs include: o Salaries; o Recruitment; o Sessional workers; o Volunteer expenses; o Travel; o Training; o Monitoring and evaluation; o Promotion; and o Activity costs. The deadline for applications to Round 4 of the Invest Programme is 5pm on Friday 14 October 2016. Announcement of successful applicants will be in mid-April 2017. Applicants must first complete the online eligibility checklistand then register their details to access the online Expression of Interest form. If the Expression of Interest form is approved, a Grant Manager will arrange a visit to discuss the application. For further information, visit the Lloyds Foundation website.